I then decided to clear out my treasure chest of adornments by throwing out the useless (read: damaged) or the unloved (read: boring) and reintroduced myself to the beautiful collection, which is now at a total of 50 great pairs. I would list them, but I think they are pretty self explanatory. 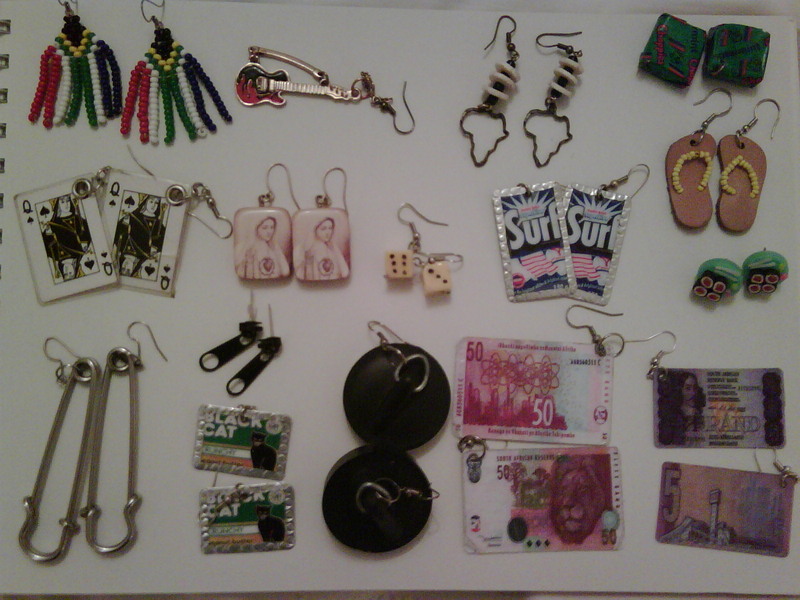 My love for these accessories materialised when I started shaving my head in 2002. You can’t argue with the fact that hair is as much an accessory as anything else. Earrings have become my obsession.